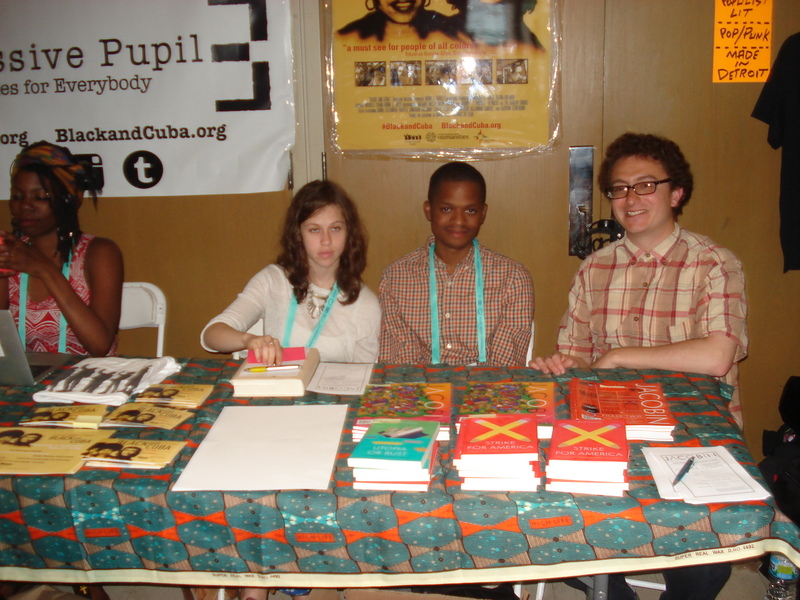 NEW POP LIT had a table at the ultra-progressive Allied Media Conference June 19-21. We were there to represent the nascent Pop Lit movement. 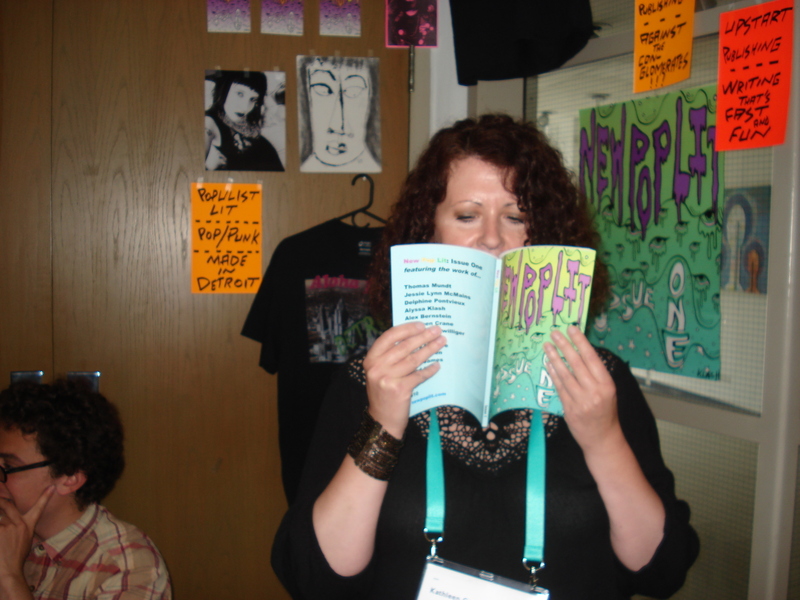 At the conference we showed off Sneak Preview copies of our print journal; sold some zines and books (and “Aloha From Detroit” t-shirts); engaged the many and mainly spread word about our ambitious project. One unavoidable observation is the way the Left has changed from even ten years ago. Instead of a larger sense of an underground or a collective, many attendees focused on individual concerns. Affirmation of the self, rather than subsuming that self into the larger community. This creates the danger of micro-fragmentation, where many of those with individual causes and concerns remain focused only on those concerns. A related question is whether having every attendee register for the conference limits outreach to the broader community. We were there for outreach. NEW POP LIT is a populist project. Meaning: we want our writing to connect with EVERYONE in this society, whatever their particular cause or viewpoint. A counter example to how we wish to operate are the good folks at Jacobin Magazine, who manned the table next to ours. If your goal is to connect with the greater populace, do you publish a journal filled with academic-style writing? The Jacobin folks have left the university, but the university never left them. They’ve lost touch with the working class roots of their movement. The premise of NEW POP LIT is that our writing be readable. We believe writing can be both clear and intelligent. How do you reach the larger public? One example can be drawn from the music business. The dawn of rock n’ roll sixty years ago was a period when various styles of roots music– blues; gospel; country; folk; r & b– fused into one great stream of authentic American sound. The individual strands borrowed from other strands. Few of those involved wished to remain in a narrow niche. They produced music for everybody. In so doing, they reinvented pop. That’s our mission. To do this we need the aid of ambitious, talented writers. Writers ambitious to make literary art and to make pop literature a part of everyone’s everyday life.